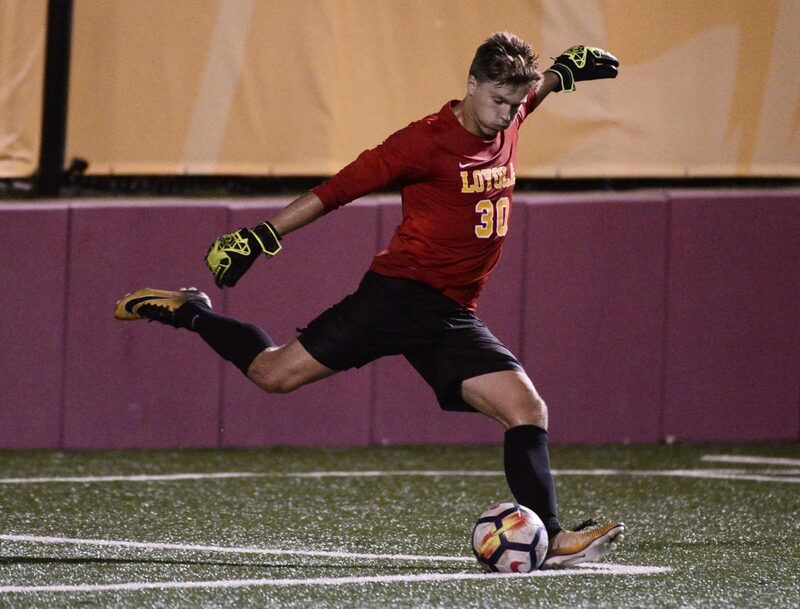 Steve Woltmann | Loyola Athletics Since first-year goalkeeper Evan Konermann took over in the net Oct. 3 against UIC, the Ramblers have posted a 3-1-3 record and allowed seven goals to slip through. After struggling out of the gate, the Loyola men’s soccer team decided to switch goalkeepers midseason. First-year Aidan Aylward started the first nine games of the season as goalkeeper. With Aylward in the goal, the Ramblers went 4-5 and allowed 11 goals. After losing 3-2 in overtime Sept. 30 to Missouri Valley Conference (MVC) foe University of Central Arkansas, first-year Evan Konermann got the starting job. Since making the switch, the Ramblers won three times, tied three times and have allowed seven goals. Immediately following the change, the team went on a five game unbeaten streak that ended in a 2-1 overtime loss Oct. 24 to Northwestern University. At the beginning of the season, the Ramblers were coming off a year in which they were one of the best defensive teams of all Division I soccer, but they had to replace two defenders and a goalkeeper. The team went with Aylward because he was closer in ability to playing at a collegiate level than Konermann, according to head coach Neil Jones. Even though Aylward seemed like he was prepared to play at the college level, there are still growing pains for a first-year goalkeeper immediately stepping in to and understanding the Ramblers’ system, Jones said. “[The young goalkeepers have to learn a lot to be successful,] knowing what we want out of the goalkeeping position, knowing the other teams we play against, knowing how other teams play, knowing tendencies of our players that are playing in front of him and knowing the tendencies of the players that we play against because we see a lot of the same teams every year, so seeing what those teams do is advantageous for goalkeepers,” Jones said. The growing pains of the goalkeeper position were new to the Ramblers, who had started Tim Dobrowolski and Andrew Chekadanov as goalkeeper the past two years. This year the Ramblers have allowed 17 goals, but in the previous two years combined Dobrowolski and Chekadanov allowed 19. Having younger players in the goal is a change from what the Ramblers have had in the past, according to redshirt junior defender Grant Stoneman. Jones said he doesn’t think Aylward played badly when he was starting, but the team wasn’t winning as much as they wanted to and he felt like he needed to switch something up. The Loyola athletics department did not make Aylward available for comment. Konermann’s strengths play into what the team needed to compete against other MVC teams, according to Jones. 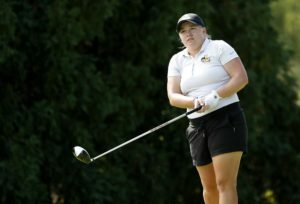 The team had been thinking about making the switch before the 3-2 loss to Central Arkansas, according to Jones, but after that game the switch seemed necessary. “We had been struggling and giving up too many goals. It is very, very hard to win a soccer game when you give up three goals,” Jones said. When Konermann joined the team, he said he knew he had to work to get better and earn the starting spot. Every practice is a tryout, according to Jones, so Konermann could go out and prove he was capable of the job every day. Konermann has been improving his ability to play with the ball at his feet since the season began, which is important because the Ramblers need their goalkeepers to contribute to their posession based system. Konermann said he is relishing the opportunities to play at a high level even though the chance has come with some obstacles. The Ramblers are scheduled to finish the regular season at Loyola Soccer Park Nov. 4 against the University of Evansville.